“Sell me this Pen,” does this line ring a bell or straighten your ears? Yeah! You are correct, it is the line from the movie The Wolf of Wall Street. Anyone who has watched this knows the scene. 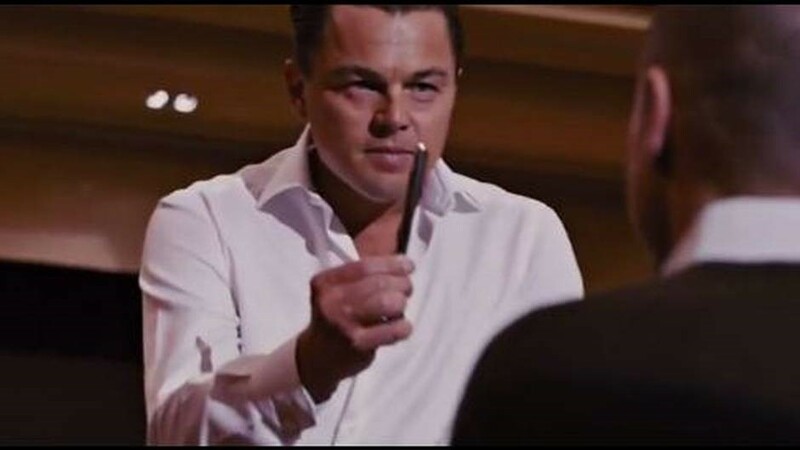 In the scene, Mr DiCaprio hands a pen to one salesman, who begins describing it: “It’s an amazing pen...” Not satisfied, Mr DiCaprio takes the pen from the salesman, hands it to another and repeats the challenge. Again, the salesman describes the pen’s finer features and Mr DiCaprio moves on. In the last few moments of the film, Leonardo DiCaprio, portraying Jordan Belfort – the 1990s penny stock broker, who went to prison on charges of fraud and stock market manipulation for orchestrating a massive pump and dump scheme at his New York firm Stratton Oakmont – he, again, asks a room full of salesmen at a seminar to sell him a pen. However, that is actually not the correct response, says the real-life Mr Belfort in an interview. So, what is the real answer to the Wolf of Wall Street challenge: Sell me this pen? “It’s sort of a trick question because when you say to a salesman, ‘Sell me this pen,’ you might find some will say to you, ‘This is a great pen, this pen writes upside down. It defies gravity, this pen is the cheapest pen on earth, this pen will never run out.’ They’ll say all the reasons the pen is good, they’ll start telling you the features, and the better ones will give you the benefits too. However, that’s not what the real answer is. “The real answer is before I’m even going to sell a pen to anybody, I need to know about the person, I want to know what their needs are, what kind of pens do they use, do they use a pen? How often do they use a pen? Do they like to use a pen formally, to sign things, or use it in their everyday life? The first idea is that when you say ‘Sell me this pen,’ I want to hear [the salesman] ask me a question. ‘So tell me, how long have you been in the market for a pen?’ I want them to turn it around on me and start asking me questions to identify my needs, what I’m looking for, and if you do that, people don’t know what to do. Next thing, he is answering, and now I’m controlling the conversation, finding out exactly what he needs. In short, you cannot sell the pen or any other commodity to a customer unless you don’t know who your customer is!